By Xah Lee. Date: 2018-09-25 . Last updated: 2018-09-26 . 1981. IBM PC (model #5150). CPU 8088. 1983. IBM PC XT (model #5160). PC with hard drive. 1984. 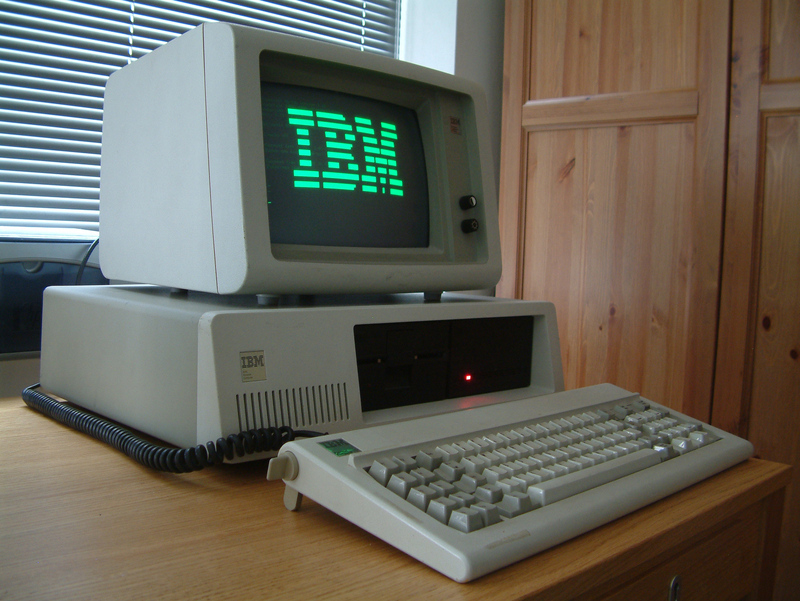 IBM PC AT (model #5170). New CPU, 80286. Some of these new models, also have a new model of keyboard that come with it. Each of the keyboard, also have many variations. Here are the main ones. 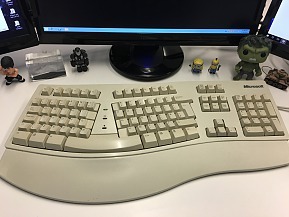 The IBM PC AT (1987), some of its keyboard has Caps Lock besides A, some has Ctrl besides A.
IBM Model F keyboard. Year 1984. Comes with IBM PC AT. 84 keys. 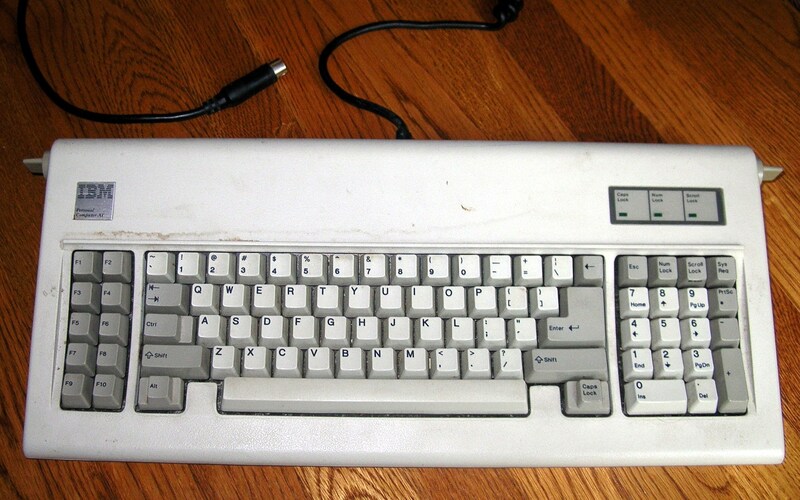 After IBM PC, in 1990s, Microsoft introduced the ❖ Window key, and ▤ Menu key. These keys first appeared on Microsoft Natural, 1994. Other keyboard makers, also added these keys.